Are you a Windows PC user thinking about switching to an Apple Mac? Here's what I learned and what I needed to do to make the transition. I have a Masters Degree in Computer Science, so I should have found this easy. But there were things that I needed to resolve. In the end, it was worthwhile. I was a PC user for over 30 years, and I recently switched to an Apple Mac. I will share with you what I have learned in the process and what I needed to do to make the transition. This article is lengthy, but feel free to browse the subheadings and read what's important to you. I won't get into any involved technical explanations. The purpose of this article is to give you an idea of the difference between an Apple Mac and Windows PC. When I was ready to buy a new PC, I began to research the pricing. My surprise came when I discovered that Windows no longer includes applications that I need, such as Outlook for my email and MS Word to write document files. I remember when these were included, but they cost extra now. Apple OS X includes useful applications such email and a calendar. And other apps are a lot less costly than the equivalent on a PC. Diehard MS Office users such as I am, are not at a loss with Apple. Microsoft makes a Mac-compatible version. I’m using it, and it’s completely compatible with all my old files and it’s functionality similar. A strong motivating factor for switching my desktop to Apple was that I already had several Apple products, such as the iPad. I thought it’s time to get an iMac for my desktop so that I’m totally in the Apple ecosystem. The advantage is that all my devices can sync with one another via Apple’s iCloud. For example, when I set a reminder on one, it’s also available on the other. Any additions I make to my contacts on my desktop are shown in my contacts on my iPad. Once I decided to go with Apple, I compared the latest iMac to the Mac Mini. I didn’t like the iMac because it’s a sealed computer built into the screen. If the hard drive crashes you can't open it to change it yourself. Apple has a special way to peal off the glass screen to get inside. The same is done with the iPad when a new battery needs to be installed. Obviously this is not something for an end-user to do. The iMac is available in two screen sizes: 21.5-inch and 27-inch. The smaller size has no user access to change memory. You have to buy it with all the memory that you’ll ever need. 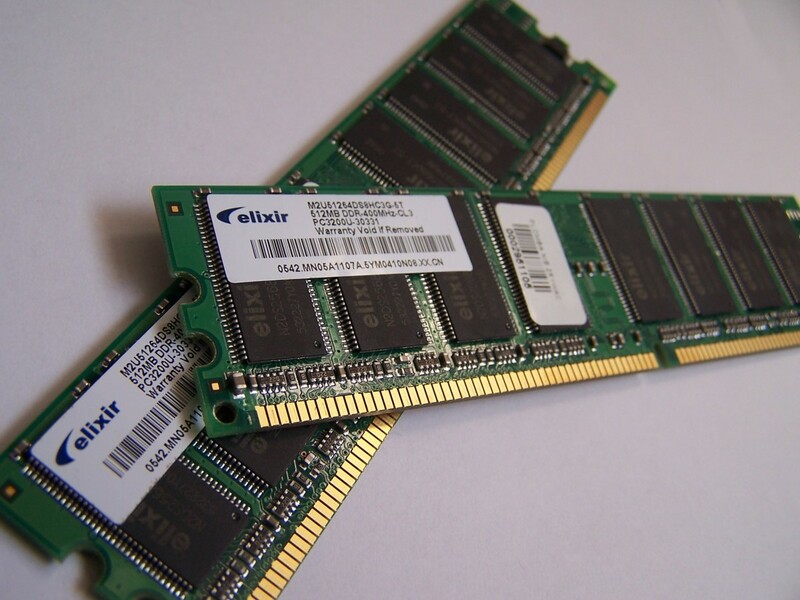 This is more expensive than similar premium-quality memory made by other manufacturers. I also didn’t like the glossy screen. It reflects light like a mirror. I wanted to have my own choice of monitors. I felt more comfortable with the Mac Mini because it is more flexible than the iMac and costs less too. There are no limitations since it uses the same OS X and apps that run on the iMac. I ended up buying a late 2012 model in December 2012 with a 256GB Solid State Drive rather than the hard drive. I wanted the extra speed and 256 Gig was enough for me. It had Mac OS X Mountain Lion installed when I bought it. However, Apple users were upgraded to OS X Yosemite for free, and later in the fall of 1015 they released OS X El Capitan as a free upgrade. Microsoft always required people to pay for upgrades. I’ve had my Mac Mini for a few years now. The latest model is item number MGEN2LL/A. The following table shows the difference between the two models. I see that the late 2014 model has been upgraded and costs less than my late 2012 version. A negative issue with the newer version is that the memory is soldered to the motherboard and therefore is no longer expandable. On the plus side, the newer models have two Thunderbolt ports for extra connectivity. The Mac Mini's prior to 2014 have a user-accessible capability to change RAM memory, so you’re not forced to buy memory from Apple as you are with the 27-inch iMac. I bought mine with the least amount of memory and expanded to the max memory of 16 Gigabytes by buying two 8 Gig chips from Amazon. That was a lot cheaper than buying the memory directly from Apple. When I started using the Mac I was disappointed that features I was used to having on a PC were not available. At first I thought Apple didn’t provide the same capability. But then I found that the same features do exist in Apple's OS. One just needs to enable them. Apple disabled advanced features because they feel most people are computer illiterate and don't understand computer-related tasks. How sad that they think that. 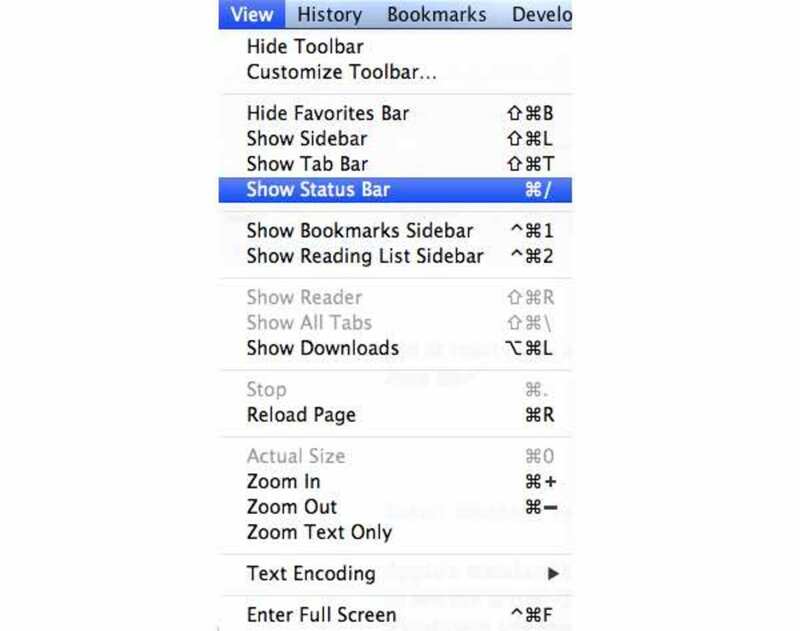 Apple’s Safari web browser has some useful features disabled by default to make things simpler for the layman. I like to see the actual URL of a link before I click on it. This helps me avoid clicking to a fraudulent site that may inadvertently install malware on my machine. For this reason I always hover my mouse over a link so I can verify if the actual destination is what I expect it to be before actually clicking on the link. As a web developer I need to examine the source code of web pages at times. This is also useful to check out a problem. as shown above. Now you’ll have the additional “Develop” menu. By the way, I also downloaded and installed Firefox on my Mac. Firefox has that option to see the source of web pages as a default setting. And it’s easier to use than the source view in Safari. Another feature that Apple likes to hide is the File Path Bar in Finder, Apple's app for finding your files. A feature that I always liked on my PC was the ability to see the directory thread when viewing a list of files. With Finder you can list files sorted by name, date, size, or other criteria. 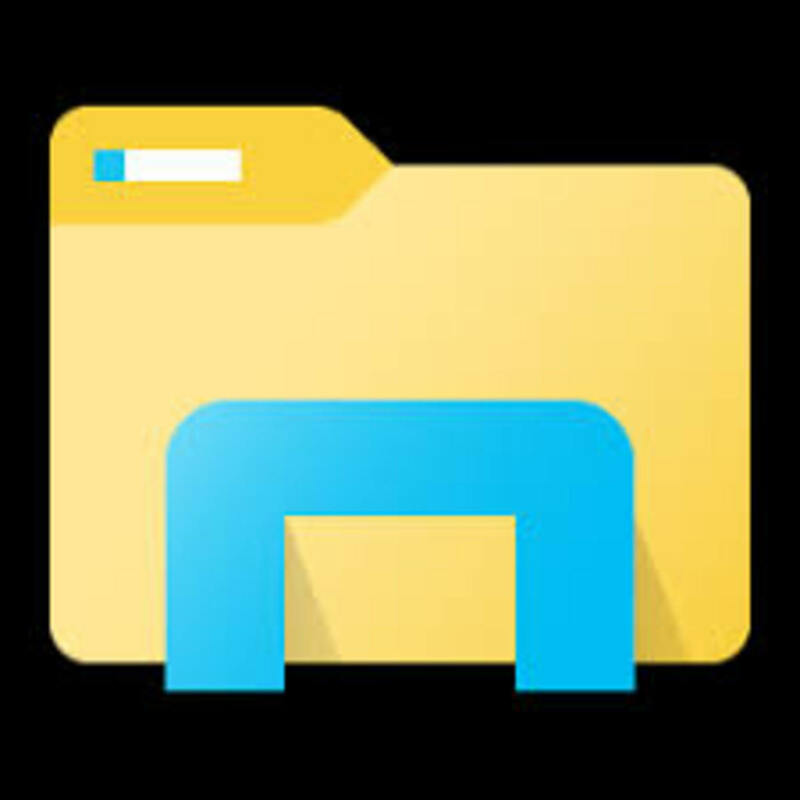 You can also list files by location, known as folders. But what if you forgot where you saved something? I like to know where my files are located. Apple feels that people don’t understand what a file structure is, so this is not a standard feature on a Mac. The Finder app allows you to select from the left column, the folder you want to browse. Preset folders are Applications, Desktop, Documents, Downloads, Movies, Music and Pictures. Each folder can have subfolders that you create to orderly place your files in meaningful locations. But sometimes we tend to forget where we saved a file. I admit that forget once in a while. This is where “All My Files” comes in handy. Just select that option in Finder and you will see a complete list of files no matter where they are. Files are listed in time order: Today, yesterday, Previous 7 days, Previous 30 days, and Earlier. I find this makes it easy to find files since I usually do remember approximately when I worked with it. 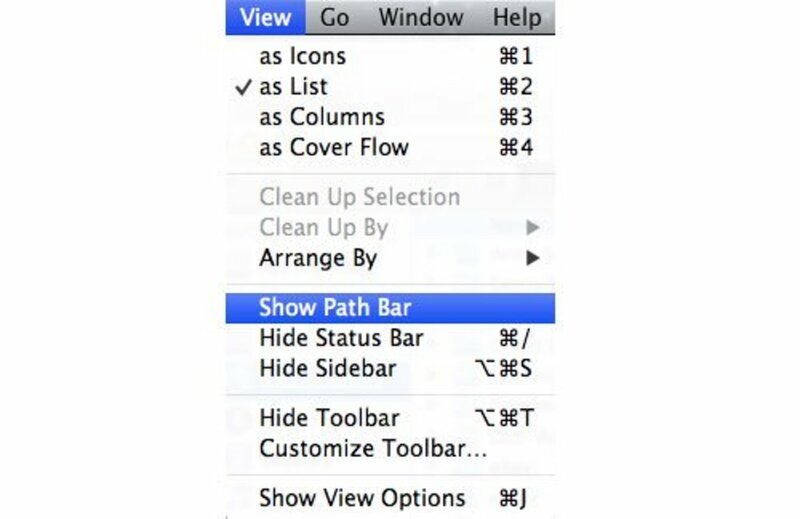 To get full use out of this feature, I recommend also selecting “Show Path Bar” as I just discussed, so that you can see where the file is located when you find it in the list. I discovered that files could be tagged with color dots a shown below. There are several colors to choose from. You can use different colors to represent various categories. For example, I use yellow for those files that I need to work with on a high priority bases. Prior to OS X El Capitan, Apple highlighted the entire filename with the selected color. I feel the change to using a colored dot was a useless modification to the OS since the dot is not as noticeable. I remember on my PC, Windows let me open the same file that already was open by another program. It did not warn me until I tried to save it. That may have been too late if I had made a lot of changes that I didn't want to lose. With the Mac, when I open a file that already is open, it automatically switches me over to the window where I have the other program using the file. I think that’s much safer since it avoids making the mistake of editing the same file in two sessions, which would cause the first saved one to be lost. That can’t happen on a Mac. The Mac has speech capability that can be enabled for various tasks, such as speaking the time on the hour or half hour. All Mac X OS, from Mountain Lion to the latest (El Capitan), have a feature that can be enabled to allow dictation in any application where you would normally be typing. This is similar to Siri that I use on my iPad. It works, and it even underlines words that it is not sure it understood. But you do need to be careful as it sometimes types something completely different than what you meant, just because it sounds the same. I found that when I enter a reminder for a specific date and time, it is also present on my iPad. And it alerts me on both. This works the other way around too. Anything I enter as a reminder on my iPad will alert me on the Mac as well. You do have to enable iCloud for this to work. The apps on both devices stay in sync with one another via iCloud. I don’t enable it for every app, just for those that I want to allow syncing between devices. Scrolling with the Smart Mouse was a bit strange at first because it was backwards from the way I was used to with a scroll wheel. The Magic Mouse has no moving wheel but it responds to the movements of your finger up and down on its surface. I found out that this backwards scrolling could be reversed so that it functions as a standard mouse wheel. 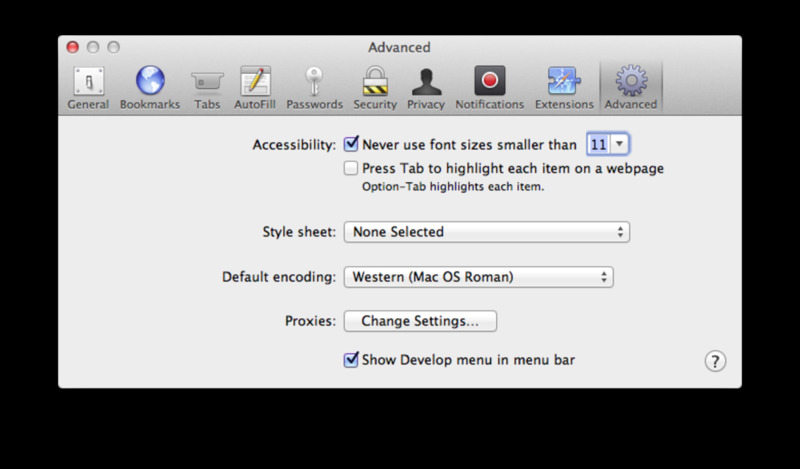 Just change the “Scroll Direction” in the Mouse settings under System Preferences. I use an HP printer. With my old PC I had to install the HP Solutions Center, a software package that controlled all aspects of the printer. When I connected the printer to my Mac, it was immediately recognized and the Mac downloaded the correct driver from Apple without any effort on my part. I found that I was able to use the printer, and even the scanner that’s built into the printer. It all worked flawlessly. I wanted to have the full MS Office suite since I was used to it. But I didn’t need Outlook because Apple comes with its own email app. But I use Thunderbird anyway, which is available for the Mac and it’s made my Mozilla. I prefer it for email and if you’re interested, do a Google search for Thunderbird. But it’s beyond the focus of this article. There are two versions of Office for the iMac. WPX includes Word, Powerpoint and Excel. And WPXO includes Outlook as well. They are both available on Amazon or from your local office supply store. I could have saved roughly $100 by getting Apple’s version of Word and Excel. But that was my choice. An MS Word equivalent, called Pages, is only $19.95. And Numbers, which replaces Excel, is also only $19.95. Apple has something called Gatekeeper in OS X Mountain Lion (and above) that helps protect users from downloading and installing malicious software. 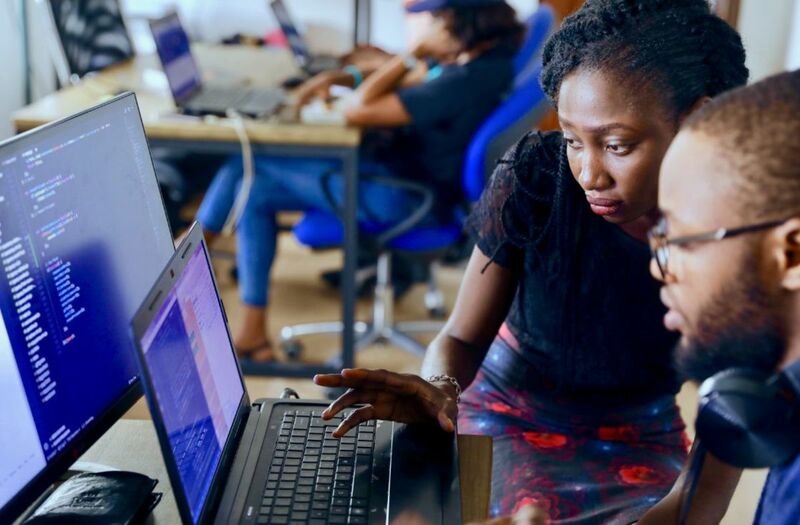 Users are protected because developers need to apply for a Developer ID certificate. Gatekeeper uses this ID to avoid installing potential malicious software. It takes an extra step, with user verification, to install software that was not verified by Apple and does not have a Developer ID. You can select a different option that allows you to download and install any software, but I don’t recommend doing this. As long as you keep the default settings in place, Mac OS doesn’t allow adware or spyware to get installed. If you avoid opening a file you receive in an anonymous email message, you can make it unlikely that you get any kind of malware. This is true even on Windows PCs. Thanks to the extra security built into Mac OS, anti-virus software is not really necessary. But if you do decide to use one, it is advisable to disable it when performing OS X updates. Some third party anti-virus software cause problems when Apple installs OS X updates. Mac OS X also has a built-in firewall. You can set it to stealth mode and I highly recommend that you do. When in stealth mode no one can ping your machine. It will not respond. Hackers ping random IP addresses until they find a live one. Then they try to gain access to steal your personal information that you may have in files. I wonder why Apple doesn’t make stealth mode the default. 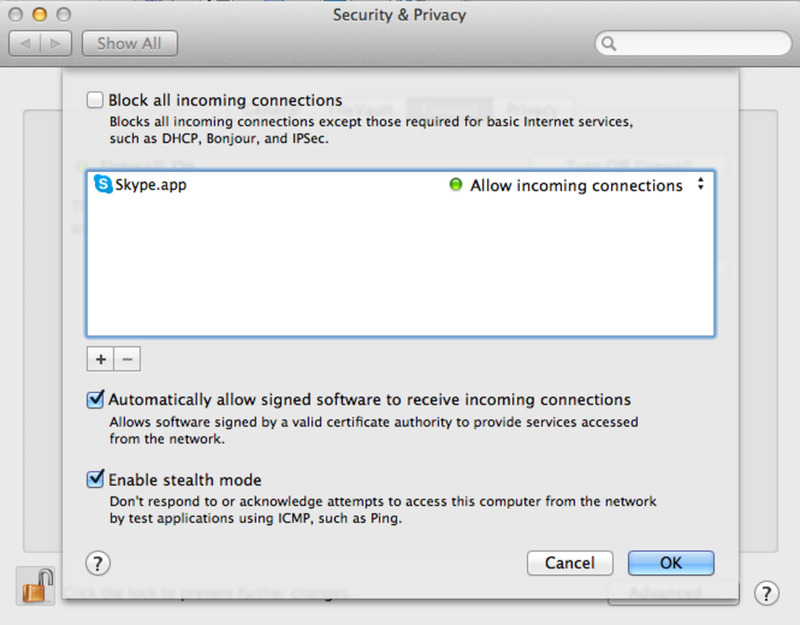 To enable stealth mode click on “System Preferences” and select “Security & Privacy.” Then select the “Firewall” tab. Click “Firewall Options” and place a checkmark for “Enable stealth mode” as shown below. Since I have a few older programs that only run on Windows, I wanted to be able to continue using them. Windows is only required if you have other old Windows applications that you need to keep using. There are several software products that allow you to run Windows on a Mac. Two such products are Parallels Desktop for the Mac and VMWare’s Fusion. I use Fusion. It lets me run Windows in a Mac Window while other Mac apps are running. Note that you do need a legal copy of Windows to install on the Mac with Fusion. Fusion by VMWare is software that lets you install and run Windows on the Mac. Note that even though this is called Fusion, it has nothing to do with the Fusion Drive. It has caused confusion because Apple chose to call their new hybrid drive by the same name, Fusion. Note that the Fusion drive is a hybrid. I won’t get into the technical details here, but basically it means that it’s a combo hard drive and solid state (SSD). The system uses intelligence to decide where to place files. Those used often are stored on the faster SSD. I decided not to have a hybrid because in my opinion too much can go wrong with all that complex intelligence. But I also didn’t want an old-fashioned spinning hard drive. So I ordered my Mac Mini with an SSD drive. No spinning platter. Large files that would take a minute to download to a hard drive take only a few seconds loading to an SSD. I'm happy with my decision. Everything that uses file access runs faster. One of the most important things to understand is file compatibility between Windows and Mac. Windows PCs use a format known as NTFS. If you were using an external drive for backup and if it was formatted as NTFS, then you can read the files from that backup drive directly into the Mac. Mac OS X v10.3 or later can read the contents of an NTFS formatted drive. But you cannot write from the Mac to NTFS. It’s only one way. At least it was easy for me to copy all my files to the Mac. Then after I was sure everything was on my Mac, I reformatted my backup drive for Apple’s Time Machine. Apple uses a format known as Mac OS Extended (Journaled). I'm using the Western Digital Passport external drive for my backup. I love Time Machine. It runs flawlessly in the background to keep weekly, daily and hourly backups. I had used it already several times to go back in time to get a hold of an older version of files or to retrieve files I had deleted and then needed again. I have been using my Mac Mini for two years now without any negative issues. I have become spoiled by the speed of booting. I no longer need to wait to use my computer as I did with my PC. Of course I am sure the speed has a lot to do with the fact that I chose to use an SSD drive. SSD is pure flash memory. No moving parts to slow down file access. And it draws much less power too. I still do have a hard drive attached to a USB port for backup using the included Time Machine, as I mentioned earlier. Apple also provides free updates to all their apps. This is automatic via Internet download. In addition, the OS itself had been improved with OS X El Capitan. The next OS, known as Sierra, has been available for some time, but upgrading requires completely erasing the hard drive. If you are using Time Machine to backup your system, you can restore to the original files and structure in case anything goes wrong. I already had to go back in time once, when I installed a third-party software that turned out to cause problems. Restoring was easy and Time Machine did all the work. Life is good with Apple. Thanks for this article! I am one of the computer illiterate people,lol. I am using windows currently, but thinking of switching. Thanks for discussing the differences in ways I can actually understand! The Windows Key becomes the Command key on a Mac and the Alt key is replaced by the Option key. There are similarities between the shortcuts, such as P, X, C and Y for print, cut, copy and paste, respectively. You just need to hold the Command key while pressing these shortcuts instead of a Control key. 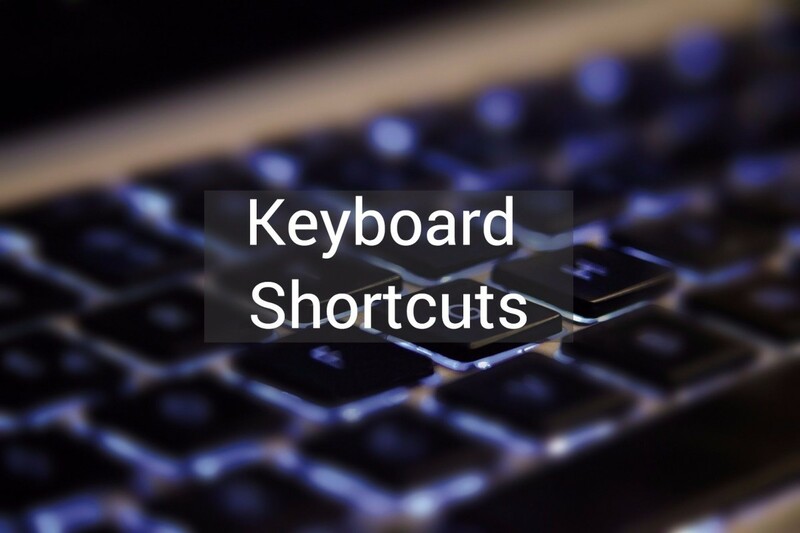 Other PC keyboard shortcuts have their Mac equivalents too, but some require a different sequence of keys. You can find any of them with a simple Google search. Hi Glenn! Just wanted to ask if the short cust keys in a Windows PC still applicable in a Macbook Pro? I'm an old PC die hard like you, and am considering switching to a Mac. Your article was very helpful and has encouraged me to make the leap. Johnz - Sounds good. 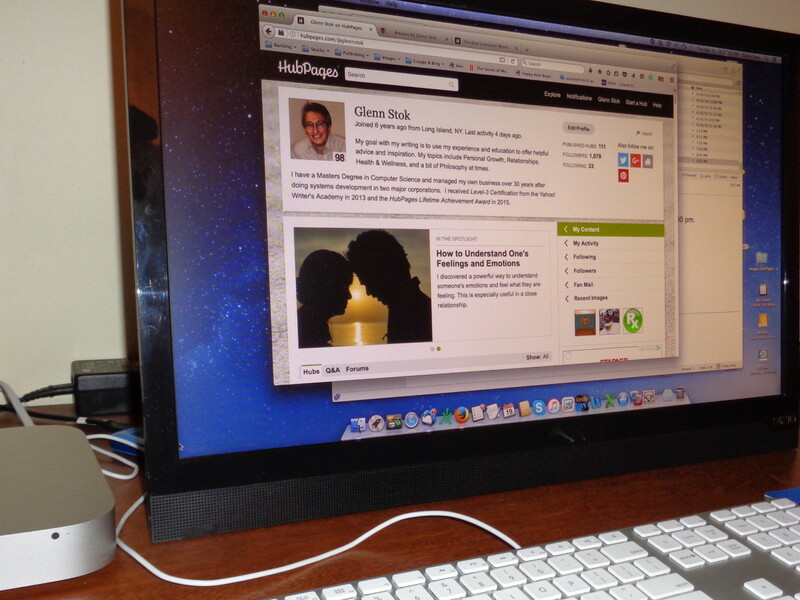 I'm actually using a 1080p HDTV as my monitor on my Mac. If you didn’t get your HD monitor yet, you may want to look into that. I wrote another article about that. You can find it on my profile page. Thank you for your insightful and thorough article! I'm making the change soon. Sick and tired of dealing with constant window issues. I like your idea (and will implement myself) using a mini mac and an HD monitor. I've bookmarked your article for further reference. Nice article! Looks like a complete Beginner's Guide for the users switching from Windows to macOS. Eric Farmer - The need to start using different software when switching from one OS to another is always an issue. I like the fact that I can still run Windows on my Mac alongside the Apple OS. VMware makes that possible. I have some old Windows programs that I still use. I do not use Macs but I switched to using Ubuntu. So I understand somewhat about moving away from Windows. My biggest issue was starting to use different software. I already had mostly used open source software though so I did not have to change too much. Anne Ryefield - I can relate to your last statement. It's been five years now that I am using a Mac. When friends ask for help with their Windows computers, I'm as a loss. Windows has changed so much since then. It actually seems very user UN-friendly. Thank you for writing this article. Though I've been a Mac user since 2010 or so, I have always had a laptop - the Macbook Pro. I didn't know about the differences between the desktops. It was nice to know that there is a difference that is important to me. Much like you, when I buy a desktop Mac, I will want to be able to work on the hardware if I want or need to. Thank you for pointing out such an important difference! The one problem I do have with Apple computers is that I'm now so far removed from Windows that I can't fix my grandmother's computer anymore without having to spend a lot of time online trying to troubleshoot a foreign environment! Maree - The version of Word on the iPad is called Pages and the Excel equivalent is Numbers. Since I always keep my devices up to date, I noticed that they are included free now on my iPad and iPhone. I never use them on my iPad, so I don't know how compatible they are. I do all my Excel work and article writing on my Mac desktop, so I wanted the original Microsoft version of both Excel and Word. Therefore, I bought "Office for the iMac WPX" that contains Microsoft versions of Excel, Word and Powerpoint. I've been happy with all of these programs since 2012 when I switched from being a PC user to being totally in the Apple ecosystem. I can tell you that these programs are the exact duplicates of what you have on a PC. Thanks for the article. I am in the process of deciding whether to go with a mac for my next notebook being a longtime pc user. The last 2 laptops I have had have been atrocious & I just LOVE my iPad. I am concerned about the functionality of word & excel, which I use regularly. I have both of these on my iPad via a subscription, but they either don't have the same functionality or perhaps I haven't worked out how to use them properly. This is especially the case with excel. I believe you are saying that the functionality should be there with a mac, so could it be that this is just an issue with the iPad? Shinylane - Thanks for noting those additional features. I also discovered many additional features of iOS since I wrote this article. AirDrop was one of those things I use frequently ever since discovering that I can use it to quickly send large videos and tons of pictures from my iPhone to my Mac in one quick click. I use it to share video I take with friends too, but can only AirDrop to those who have iPhones. It's nice being in the Apple ecosystem. I had a similar experience 5 years ago after moving to the bay and getting a job where OSX/Apple was what all the developers used. I feel like you described something very similar to my experience, however I would add one of the major joys with using OSX is the availability of bash and a large subset of the GNU tools. Now there are ways to get this on Windows of course but it's right out of the box for you in OSX, and I also really enjoy airdrop with other macs. The other point I would make is Windows 10 does come with Email and Calendar apps at least, and they are not bad at all IME. Thanks for the great article! Frank, Wrong! The kernel used in Mac OS X is XNU, developed by Apple. Although similar, it's not Linux. 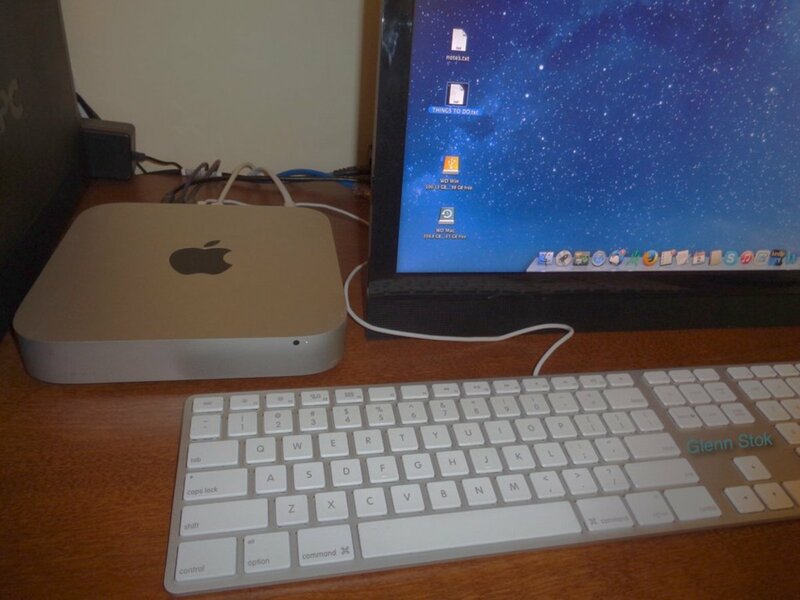 Like you, I get a MacMini to talk many Apple products around the house (iphone, ipad :)). My work environment is Linux-only and I feel more comfortable with Mac OS X as it has Linux kernel. Dennis McDowell, I'm glad my article was helpful for you transitioning from a PC to the Mac. There are a bunch of useful user guides for your MacBook in PDF format available online. You can find them by searching for "MacBook User’s Guide" on Google. Thanks Glenn for this very informative article. My wife and I are a retired couple transitioning from our Windows 10 computers to a MacBook Pro and a Mac Pro, both 2011 models. Your insight has been greatly appreciated and valuable in helping us understand a Mac and all the terminology associated with the Apple community. You've also provided excellent hints on how to get more out of our Macs. Thank you! I just received my MacBook Pro and I am looking forward to learning it and getting everything working on it. Thank you again for your advise. Brandi, What you need is Microsoft Office for Mac. It includes Word, Excel, PowerPoint, Outlook, OneNote, and more. All are completely compatible with the versions on Windows. The Apple drive format is different from Microsoft. Mac can read backup drives formatted by Windows, but cannot write to them. Windows cannot read backup drives formatted for the Mac. If you want back-and-forth compatibility, you need to format the backup drive as Fat or ExFAT. These formats can be read and written by both Apple and Windows. However, these formats have a limit to file size. This limit may not affect you unless you are working with very large files such as video or large datasets. See the section (I think you missed) in this article under the subtitle: "Copying Files From PC to Mac"
I highly recommend Apple’s Time Machine for backing up your data, but this cannot be read by Windows computers. So you need a separate external drive for copying between you and your business partner. Remember, format that one as ExFAT. Hi Glenn. Thank you for responding so quickly. The majority of my work is done in Microsoft Word, Excel, Outlook and on Adobe Acrobat X Standard. I also back up everything to external hard drives. I think I read that I will need to reformat the hard drives before using them on the Mac. Is this correct? Brandi, File compatibility all depends on which programs you both are using. If you are talking about Word documents, Microsoft has a version of Word that runs on the Mac. Same is true for Excel. Text files, photos and all image files are directly compatible with no problem. Videos have various file formats and may need the proper application to play on either device. If you give me specifics I can give you a more direct answer. I am thinking of switching to a Mac from a PC. My concern is that since it is mainly used for work, if I create a file on my Mac and send it to my business partner who is using a PC, will it still open for them no problem, and vice versa? I would really love to switch, but I am concerned about that. BarbRad - I never used Carbinite. I back up to a remote hard drive using Apple's Time Machine. It sounds like your backup was corrupted and that's affecting everything you mentioned. When I switched to iMac a few years ago, I loved it. I used it in one location and had a Windows PC at the other. Then I had a hard drive crash after almost three years. Although I had Carbonite, My ISP could not provide enough speed to download the files. The Apple store techs had tried to restore the hard drive as best they could to move data to the replacement, but the new computer never worked properly. My mail was disrupted and that program doesn't work as it should. Tech people told me everything would work if I just updated the operation system. I now have El Capitan and my favorite programs are still broken -- iMovie doesn't work like it used to, iPhoto no longer imports as of last week, and I can't ever find files I need. I'm even locked out of some of my folders. I know how to change the permissions, but it's still a pain to have to do it. I have no idea who locked me out of them, but probably some tech moving files. About all that's good in this computer is the files it's storing that date back to 2014 and before. I'd love to move them to the PC, which works better for me now. I'm just not sure how. I've been moving a few at a time with a thumb drive. I keep the iMac next to my PC now, and it's handy as a second computer for internet use and referencing when I want to see information in one screen while I'm writing in another. I'm not a techie, and I'm tired of trying to locate photos I took in 2010 that weren't tagged. I have thousands of photos and only tagged the subjects of each download in iPhoto as I got them from my camera. I tagged the files as I edited them. Between iPhoto and photos I can usually eventually find the photo I want by remembering an approximate date of the event, finding the event in iPhoto, and then checking the dates in Photos. In Windows I can go right to the folder I put the edited photos in and find any edited photo easily. I find unedited ones by date and import title. No tech has been able to fix my mouse problem, either. I ditched the Magic Mouse which stopped working properly even with new batteries. I now have a Logitech wireless mouse. Sometimes when I try to left-click, it randomly gives me a right click menu instead of opening or closing a file, tab, or following a link. The online tech support didn't have an answer for that, either. If I get my files moved, I'm ready to sell my iMac to someone with more tech knowledge than I have. Don - Your review of your experience with using your Mac adds a great deal of useful information here. Thank you for taking the time to share that. You and I came from about the same time period. You worked on the first PC introduced my IBM and I built my own home computer a few years earlier than that, and wrote software for it. I wrote a few articles published in the trade journals of that time, which got my name out to the clone manufactures. Then DRI contracted with me to include my hard disk backup program, known as BackRest, in Concurent PC-DOS in the mid 1980s. Remember that one? cclitgirl - Thanks for sharing how you are using your Mac. I also like the way my calendar and reminders sync up between my Mac and my iPad. Whatever I put in one is automatically in the other. As for your comment about watching Amazon Prime and Netflix movies, you might want to look at the Roku. I use it to watch all that on my living room tv. It comments to the tv via HDMI the same way as you are doing now with your MacBook. 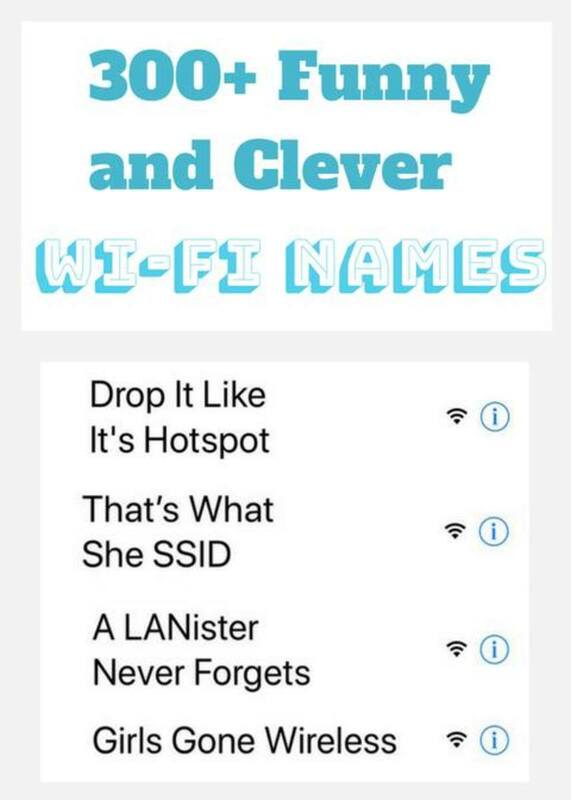 It even lets you stream YouTube video from your iPhone, iPad, or Mac to your TV as long as it all on your own home WiFi network. Glenn - I changed over myself at about the same time. And, it was a hard decision because I am "Old School" PC user. In fact, I was one of the Engineers selected at the GE site where I worked to review the first "PC brought out by IBM. I won't mention how long ago that was. But you can imagine how hard it was for me to move on. What ran me away from the PC was the constant early life deaths of the PC's I would purchase, but the constant dealing with their upgrades and the crappy Packages they used (APP wasn't popular phrase at first back then). But, I purchased a Mac Pro and I haven't had to look back. The machine is reliable, all of my critical information is synced with my iPhone, and I haven't had the first "attack" on my Mac. One thing I did do, was take the time to consolidate ALL of my data and information (decades worth) and clean it up with reality checks. Once done, I transferred this into a structured "folder" that I placed onto my Mac. It was kind of large, but over time I was able to go back and forth for my information. Of course this was made easier because I bought the Office pack for the Mac and I was able to use my WORD and EXCEL documents as I got better at using PAGES and NUMBERS and SAFARI. Although I write all of my first draft stuff with Pages and then paste it into HubPages, I do my final Book development before submissions with WORD. So, overall I am glad I made my transition and honestly, even though I looked longingly at those "Surface" and other such machines, are tempting, the annual obsolescence and my memories of the problems with Windows, keeps my happily using my Mac. I had used PCs for a long time. But what I love about my Mac is that it's three years old and going strong. I have a Macbook Air and iPad and iPhone and they keep me in line. Haha. No, really, using iCloud, I can take notes on my Macbook or Phone and then they're all right there on my work iMac. My calendar syncs on all my devices as well as podcasts, photos and the like. Plus the antivirus stuff that you don't have to deal with on a Mac is nice. Loved this article! Thanks for the write up and I learned some things, too - for the next computer, I might get an Apple mini with a bigger screen like you did: I like watching Amazon Prime and Netflix movies from time to time. Right now, I hook my Macbook to my TV (via HDMI cable and an adapter) and it's not bad, but...I dunno, there are other ways...I guess it's just how much you want to spend for convenience. Haha. In any case, thanks for all this! norlawrence - If you no longer use your PC after buying the Mac and still have your Windows XP installation CD you can install it on your new Mac. Then you can run both Mac OS and Windows at the same time. You just need to get VMWare to do it. That's what I've done since I have a couple of Windows programs I wanted to be able to keep using. My old XP is about ready to die. Maybe I should think about a Mac. Thanks for the great article. It was full of good information. BarbRad - This is true. One has to be an educated shopper, as the saying goes. It took me six months of study and analyzing before I made my choice. Most software can be downloaded these days. But I bought an external DVD drive just for those cases when I buy software on DVD. You can find a cheap external DVD drive on Amazon for around $25. The Mac automatically recognizes it. I wish I never had bought the computer with Maverick installed. I had no idea how different it would be. I was able to learn how to access choices I was used to (such as "save as") when I called tech support. I didn't realize until I went to reinstall VMware Fusion that the new iMac did not have a DVD drive, and I didn't want to have to go buy one just for that. That's what happens when you don't have adequate shopping time in which to make a decision. BarbRad - That's unfortunate that you ran into so many problems. I also need to keep Windows to run some old PC software, and I also issue VMWare Fusion to run Windows on my Mac. I love it and I never had trouble. I even run Windows alongside other Mac utilities. I like that Windows can run while Mac OS is alive, simultaneously. The trick to avoid using up resources is to let Windows access the Mac hard drive directories rather than the virtual hard drive that VMWare creates. That virtual hard drive never can be reduced even if you delete files. So you need to avoid using that. By using the actual Mac hard drive I can access the same files in real time from either Mac OS or Windows. So no need to copy back and forth. As for email, I use Mozilla Thunderbird. They are the same company that makes Firefox and they have a Mac version. I love this for my email. It even handles multiple email accounts and IMAP so it syncs with my iPad. I never upgraded to Maverick because I have no problems. I know that if I upgrade the OS then VMWare needs to be upgraded too, and so many other things become incompatible. So why take chances. I chose a Solid State Drive instead of a hard drive. With no moving parts, file access is tremendously faster and I needed that because I also do image and video editing. And there is nothing that can wear out with an SSD, so I never can have a hard disk crash. Nevertheless, I do use time machine to keep it backed up just in case. What it all boils down to, is simply setting things up right and then nothing goes wrong. I bought my first iMAC in 2010 and once I got used to a new way of finding my way around, I loved it. I was running some essential Windows programs on VMWare Fusion, but found that I used a lot of resources doing that and had to reboot more often. My hard drive died last October and although the techs tried to recover and move all my data back, the mail program has been almost dysfunctional since the crash. Organized folders and preferences became scattered and it's just easier to check the email online now on a Windows PC. I bought a new PC at almost the same time as I replaced my iMac, since I wanted one at my other location. I was tired of running Windows on my iMac and I was tired of using a laptop in my second location. I now like my PC better than my MAC unless I'm working with photos. My new iMac had an upgrade to Maverick, and I haven't been able to get iMovie to function since then. I can't seem to do much with Movie Maker on my PC, either. This is very disappointing, since I love making videos. 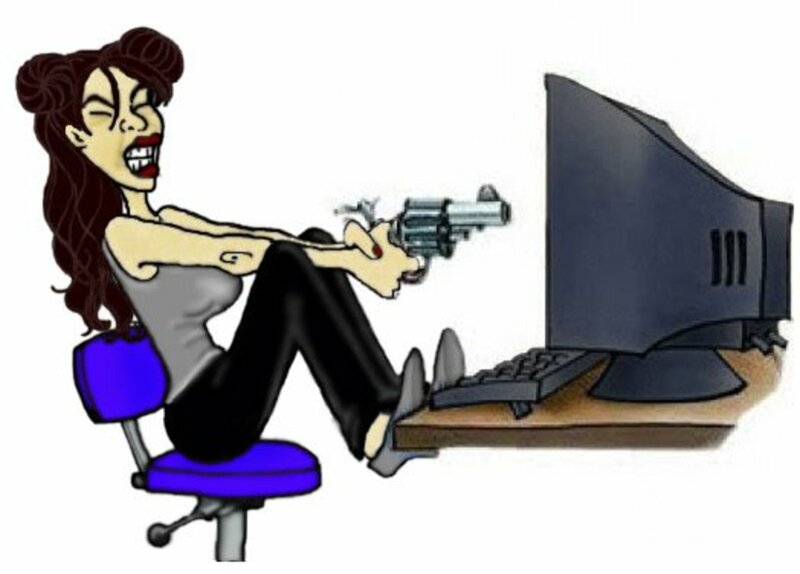 Victoria Lynn - Personally I never found a problem with the difference between a PC and a Mac. As I discussed in this hub, there are settings to make them function in similar ways. The more information to be armed with, the better. You're absolutely right about that. Thanks for stopping by and commenting. Interesting hub. I like the lure of the Mac because of lack of virus issues. But I'm with Sherry in that everything I do for work/teaching is on a PC, so it would be hard to change. Thanks for sharing your experience. I've wondered about Macs. It's good to be armed with information. peachpurple - Yes, the hardware is more expensive but the software is much lower priced. And Apple includes many common apps with the OS, and many free to download. Unlike Microsoft, who charges extra for apps that are necessary for a minimal system. In addition to that, installing and removing apps is streamlined on the Apple. Microsoft always leaves files behind when you delete unused apps, filling up disk space. The time saved maintaining the system is also part of the cost that is saved with Apple. I used to spend hours cleaning up my PC when it started running slow. Time is money too. Sherry Hewins - I can understand the need to have a PC if you're using a PC at work so that you have more compatibility. I was glad to discover, however, that there are a lot of options that can be selected on a Mac to make it work more like a PC, as I discussed in this article. Thanks for sharing your personal experience. Thanks for sharing your research. I learned on a Mac in school, but once I entered the workforce everyone had a PC. I bought one for my home computer because it was cheaper, and it was compatible with my work PC. Thanks to your excellent info, when I'm ready for a new computer, perhaps I will consider going back to Mac.